Just me and my dope clouds. The Juul is the gogo-pants, the jelly shoes, the bell-bottom jeans of the late 2010s. The Juul was made for everyone: recovering addicts, 15-year-olds, creepy 30-year-olds who peaked in high school, and lost and misguided college students (honestly, aren't we all). Here are some things you'll definitely agree with if you've ever owned (or lost) a Juul. There once was a magical time when high schoolers were able to ruin their lungs in the peace and quiet of the school bathroom. 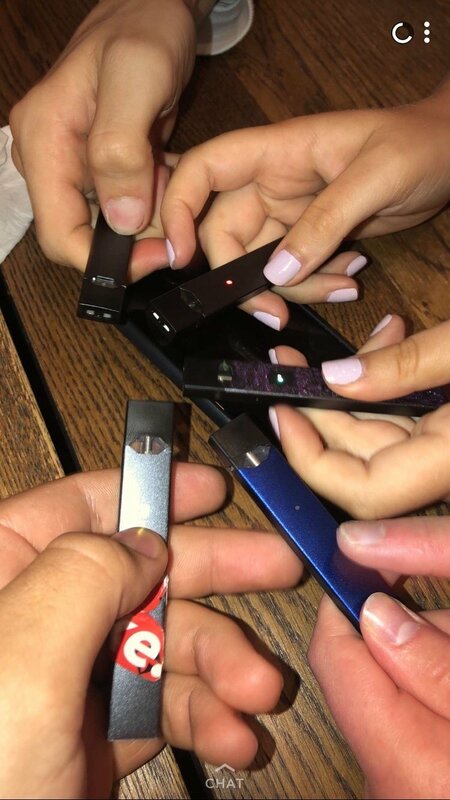 There once was a time when teenagers played their Juuls off as "flash drives," "chargers," and "USBs for school." 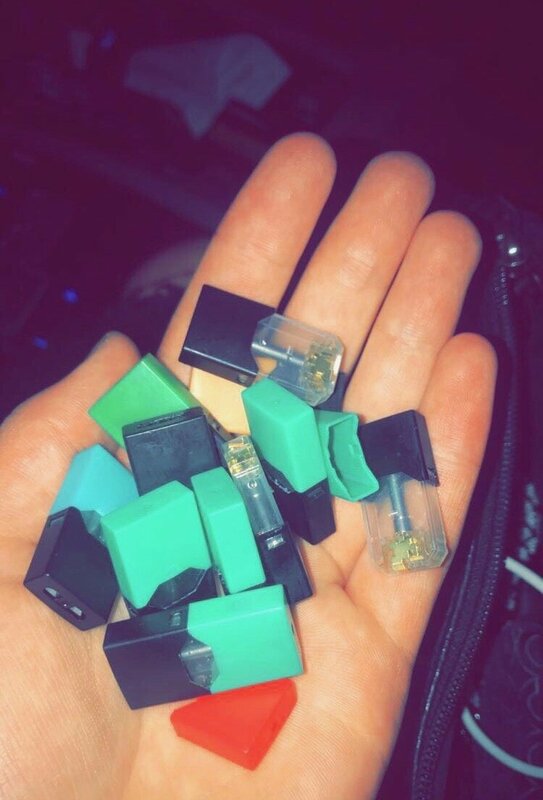 It was a mint pod paradise. But just like the Garden of Eden, there had to be that one person that ruined it for everyone else. At some point, someone snitched. Soon, the dangers of teen vaping took over the nightly news. Before we could stop it, there were PTA meetings and "Moms Against Vaping" bumper stickers. Harboring a nicotine addiction requires a certain level of style and refinery. 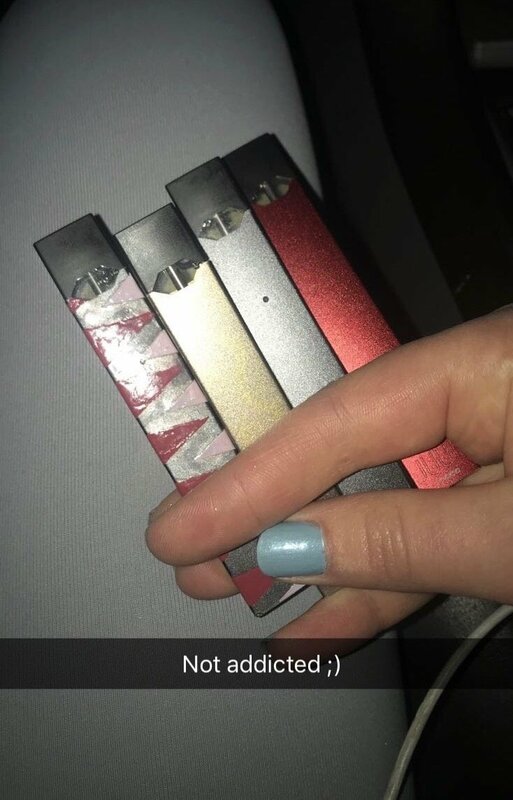 Everyone knows that Juuls with glitter, skins, and stickers are simply superior to the plain ones. Not all Juuls are created equal. Especially if you give it the name "Juulio," "Ferris Juuler," or "Angelina Juulie". Extra coolness points for "Juulius Ceaser." There are some things in life that aren't meant to be shared. Social security numbers, men, toothbrushes, bad poetry you wrote about your crush in high school, the list goes on. The same goes for the Juul. This is how mono happens, people. Leave me and my son alone. A popular finesse among veteran Juul users is to record the serial number on the front of the Juul and report it "broken" or "lost" on the Juul website. Bada-bing, bada-boom. Free Juul in the mail 3-5 business days later. Rent? Electricity? tUiTioN? Who even needs that stuff? Becoming a Juul owner comes with its own fiscal responsibilities, just like a new pet or a child. Expenses vary from pods, juice, chargers, and possibly medical bills. Chances are, you've sat yourself down at least once and attempted to blow some Os with a YouTube tutorial. It takes time and patience to nail the ghost, the dragon, and the French inhale. No shame. There are Phixes, Sourins, Stigs, all kinds of vapes that hopped on the fake Juul bandwagon once the original started gaining real traction in society. Nothing beats the original. You will always be the only one for me, my sweet Juul. Surprise, surprise. Unfortunately, it's been proven by the FDA that the Juul and its like devices pose serious health risks. This comes with a certain level of anxiety when it comes to lung health, and if you've been Juuling for awhile, chances are you pay extra attention to your breathing and sometimes worry about asthma, bronchitis, and more serious lung problems. In all seriousness, it's pretty scary how many people these days play off their nicotine addictions as no big deal. I once had this roommate whose worst fear was losing her beloved, special-edition red Juul. One Thursday night, this girl came back from Lion absolutely beside herself, as she was convinced that someone had stolen her prized and rare red Juul. She then spent the remainder of the night weeping and flopping around her bed, and cursing the gods for taking her precious best friend away from her. However, it was discovered the next morning that it actually had been sitting on the coffee table in our living room the whole time. Losing a Juul on a night out is easy due to its size and the likeliness of a frat boy slipping away without giving it back. It happens more than you think. Pro tip: check the floor of the bar with a flashlight at the end of the night, guaranteed free Juul. All good things must come to an end...until you buy your next one. Truly, the Juul is a generational pinnacle—one of those things we will smile about driving our kids' carpool to soccer practice in a few years. And though it's mostly done in good fun, take a second to seriously consider if the J is worth it. Be smart, and happy Juuling!